A look at the last name change dilemma when you're a hopeless romantic feminist. Sigh. 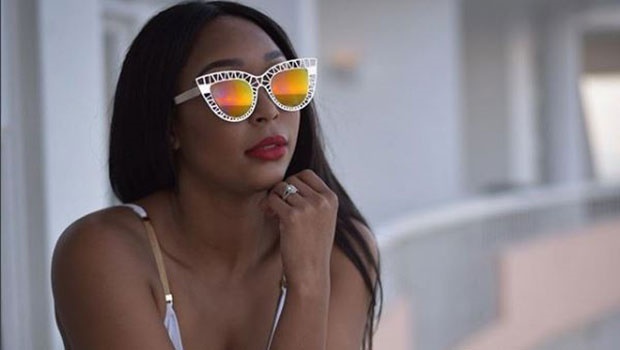 So Minnie Dlamini recently became Mrs Jones. And while she's not the first celebrated personality to wed, she's one of the rare few who have publicly taken their husband's surname even though he is not in the spotlight. In light of getting used to the idea of Minnie Jones (née Dlamini), the whole last name change decision had me thinking about my own decision not to change. I'd like to stress that I personally do not frown upon any woman who takes her husband's surname when she gets married because I'm fully cognisant of the fact that at third-wave feminism's core lies the fundamental principle of choice. I believe that women should be able to choose whether or not they change their surname or not. And I have already chosen (single as I am). I'm choosing to keep my surname for both feminist and admin related reasons - I just don't want to have to queue at Home Affairs, at the bank, send emails to HR at work all in the name of confirming that I love someone enough to spend the rest of my life with them. Imagine. I'm sure you can all relate to the weekly Facebook engagement announcements, where a few months down the line there's suddenly an unfamiliar surname on your homepage that just confuses you, leaving you wondering when you friended this person on Facebook. I mean, coming from a girls' school where it's mostly the white girls who are now married, between the five Laurens, three Chantelles and two Kaitlyns in my grade, at this point I really can't keep up with who's who. I feel like legally adopting a different surname results in a loss of identity. I don’t mind hyphenating the two surnames, but from what I hear, the process is an admin nightmare. While I'm not disdainful of married women who change their last names, I also do understand why this ID change sometimes receives a lot of criticism. A BBC Magazine column also interrogated this, questioning why women should still be changing their surnames. In it, they mentioned how the internet wasn't too pleased with Amal Alamuddin's decision to become Amal Clooney, as a few feminists felt that this meant that she's a woman who doesn't value her career - a woman who also submits to her husband. But we can clearly see that Amal Clooney's career hasn't been affected by her nuptials. In fact, she's such a powerhouse that George has been referred to as "Amal's husband" in the media a few times. So I recently felt the need to investigate what the historical reasoning for taking your husband's last name is in order to gauge just how justified the criticism of last name-changers is. I first spoke to a Muslim friend about this, asking whether it's compulsory to take on your spouse's surname in either her religion or her culture. "As a Muslim Indian woman, I find it very common in my culture for women to adopt their husband’s surname although it’s not religiously compulsory to do so. My mother happily took on my father’s surname. Personally, I’d prefer keeping my surname. While I don't know the exact historical reasoning behind Indian women taking their husband's surname, I can say that it's most likely due to the fact that Indian culture is generally very patriarchal. I personally feel like legally adopting a different surname results in a loss of identity. I don’t mind hyphenating the two surnames, but from what I hear, the process is an admin nightmare. If that’s true, then I’ll avoid making the change altogether." She further explained to me how in Indian culture, it's sort of expected of you to have and to hold your husband's surname, but as a Muslim woman your religion can override your culture, thereby meaning that you can keep your last name. Last year after a Home Affairs official assumed that a recently married woman wanted her surname changed much to her disapproval, eNCA reported that Home Affairs will now make it compulsory for marriage officers to ask married women whether they want to change their surname or not. Good on you Home Affairs for finally acknowledging that marriage need not equate loss of autonomy for women. Which brings me to my next point on how the institution of marriage has always been symptomatic of a loss of self and identity for women; hence the need to now question why it has always been tradition for women to take their husband's surnames. According to Politicsweb, the reasons behind changing one's surname have rather controversial roots (as expected). In ancient England when a woman married she was immediately deemed her husband's property. And so during the 15th century it became standard procedure for women to take their spouse's surnames as a symbol of "legal and spiritual unity" as well as a subsequent loss of independence for the wife - not only in England, but all over the world too. It became established that marriage is something which mainly benefits the man. Betty Friedan’s book, Feminine Mystique, even discusses the plight of college students who often had to drop out in order to start families before they could obtain degrees. Friedan's book also mentions that during the 1950s 60% of female college students were dropping out to get married. Yikes! Even so, it has often been said that the women that 'opted' for the housewifery later felt discontent with their lives. However, over the last few decades a number of factors have changed the position of women in the world, namely the introduction of contraception, access to higher education and a driver's licence as well as greater acceptance in the workplace. This is why the surname change dilemma is quite a contentious issue in African culture especially where a married woman is held in such high esteem. So much so that not wanting to change (or at least double-barrel) your surname as the ultimate marker of this 'prestigious' title is baffling to older generations. My surname: trash it or stash it? But beyond marriage, wifing and feminist indignation, I really think the surname dilemma can largely be attributed to identity concerns. If you don't take your partner's surname, you maintain your career/personal identity, but it also means that your future offspring might have to have double-barrel surnames. If you go double-barrel from the day you say "I do" it's implicit of the fact that you still value your individual identity, but you also value your legal and spiritual unity with hubby. Some people even choose to only use double-barrel surnames on social media, but keep their surname on professional platforms. Keeping your last name, which you inherited from your parent/s doesn't mean you think your marriage has an expiry date, that you don't value your nuptials or that you feel your family name is superior to your partner's. If you drop your maiden name for your forever-bae's last name it might mean you're simply a traditionalist, romantic or taking his surname actually means more to you than succumbing to patriarchal/religious norms. And this last point is what I want to address. 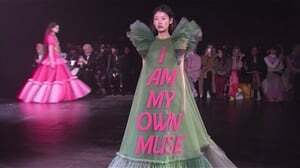 I think a lot us millennial feminists may have at some point had a moment where we have looked down on a fellow woman for taking her husband's surname, perhaps even perceiving her as a self-loathing 21st century woman. But with introspection comes the realistion that a true feminist wouldn't shame another woman for doing what she feels is right for her - provided, of course, that it was a decision her partner did not impose on her (very NB). I recently bumped into a sobering thread by Twitter user @dlakza, where she shared how her engaged friend has always wanted to change her surname as a means of detaching her identity from her abusive father. So for her freedom is taking her partners surname. Sharing a name with a man she loves, whose only been good to her. It's not always conservatism and unconsciousness that informs decisions that can be seen as 'unfeminist'. Feminism is the choosing of a name you prefer. That said, we simply cannot police fellow ladies' identities once they get married, whether they choose to keep their surname or not. It's simply the option which feels most right and appropriate for you. In the same breath, taking your partner's surname may simply be a romantic gesture, religious/cultural obedience or even freedom. Let's just let each other live, please. We'd like to know your views on what changing your surname will mean/has meant for you as a married woman. Tell us here, on Twitter or on our Facebook page.